Bloodbath Avenue 2 is an action packed fighting game where you have to kill all deadly zombies in each level to complete it and to successfully qualify for the next level. Use mouse to move your hero, click left button to attack, tap space bar to grab and throw items, 1-3 number keys to activate skills. 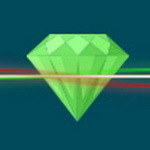 There are three heroes in the game, select your hero and get down into action business. Once you kill certain numbers deadly zombies, then you will complete the level. There are med packs, coins, weapons, barrels and boxes, so collect all these items to perform better and to score points. Clear all levels and win the game. Game Instructions: Use mouse to move and shoot. Space bar to grab and throw. 1,2,3 to activate skills. Play another exiting new adventure with Armadillo 2! Adventures of knight is a casual platformer with elements of physics. The brave prince decided to release from prison beauties princesses from different countries to become famous. The old kings was very angry, and so established numerous guards and traps on the outskirts of the castle. 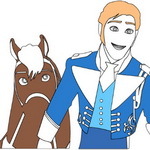 Faithful horse helps the prince in overcoming these obstacles. Use your strength and cunning to solve puzzles and do not fall into the trap. A brave little fellow this is, not afraid of running through a maze, where spikes and other killing obstacles appear from now. 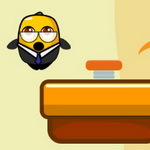 Game Controls : Use spacebar to play this game. Jungle Plunge, a fast high score game where you navigate a verticle puzzle with a monkey in a bubble! Its cute, its fun, its a barrel of monkies. Add the numbers on the cards until they equal 11, no matter how many cards you add. As soon as they are 11, then they can be cleaned. Ear more and more money to sell your hotdogs and burgers. Help Lisa and her dad to deal with the frenzy business at their own gas station. Drag customers to the requested gas pump and help them fill up their tanks as you offer other services. Aim is to earn enough money to develop a flourishing business with the Frenzy Gas Station. You will have to ride an elephant on a balloon. Paint ball hero is a fun shooting game with paint.Your objective is to shoot the opponents with paint ball.Use the same color ball as their cap. Buddha Tangram is a classical tangram game with relaxing music. You have to make your tangram with geometric shapes.You have to be very intelligent for this game and Buddha Tangram is a good way to relaxing. Have Fun! The harvest season has come! Dora is working in her farm, she is so busy! 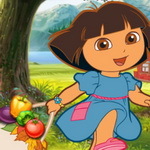 Please help Dora to collect crops. Have fun! 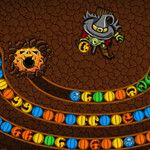 Halloween Chain is a HTML5 clone of the famous Zuma puzzle game. 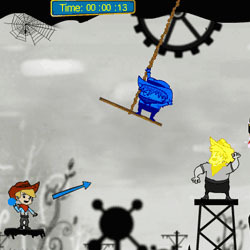 The game contains 3 different progressive levels. Shoot the pumpkin ball to match 3 or more balls of the same color to eliminate balls. Wanna play a game of darts &win a kiss from a beauty?All you gotta do is play the dart game and hit the bulls eye and a kiss. If you don't get 350 points,then you qualify for 2 more chances. you can target the bulls eye but after hitting it 5 times, you will be informed that there is no more place left,after which your strikes will hit other parts of the target board. You can win a tally of 400 points. What's holding you back then Amigo? Start off on the game &win the Kisses.. Attention! A real casino and roulette! Lite caps. There is no stake, but opened balls number. Making blocks disappear doesn’t require a lot of heavy lifting—just a click of the mouse! ______________________ Control keys for the game. Click on groups of 3+ blocks of the same color to clear them from the board. Clear as many block as are listed under "Blocks Left" to complete the level. Otherwise you'll have to start over from level 1! Tip: Scroll over a group of blocks to see the total number of points that you'll receive for clearing them. You're flying on the flying carpet and enter various floors of the tower. There's a quest you must solve on each floor. There'll be several characters from Aladdin cartoon to your right and a rectangle to your left. Small pieces of the rectangle will be revealed. 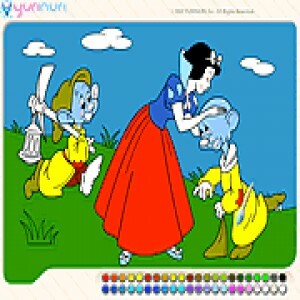 Your goal is to guess what character is hidden there and select this character in the right-hand part. If you can't do it before the time is over, you lose the game. Stack all of the blocks, circles, and triangles on top of each other and make them stand on their own for at least 10 seconds. Controls: Mouse. 3D isometric action puzzle game with blocks. Blocks of different types are falling onto the moving lane and it's your job to make sure they never reach the end of the lanes and fall down. Help the alien to get his eye back. 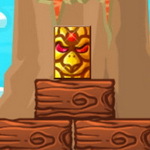 Cut the blocks to move the eye. 30 levels, 20 cuts per level. That makes 600 cuts! A physics game like no other. Tabby, persian, or itty-bitty kitten—with these furballs, you'll be smitten! How to play : Put the cute cat puzzles back together in this jigsaw game. Drag the puzzle pieces into the correct position. Finish a puzzle in arcade game to unlock more of them. There are so many cuddly cats, you'll get your feline fix. Are you ready for a new fun and intense dirt bike challenge? Then we have prepared a new motocross challenge, to see if you got what it takes to be the best driver in the game. 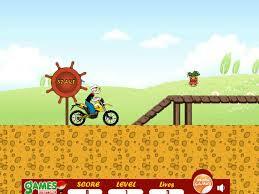 Master your driving skills in becoming the best dirt bike driver online. Use arrow keys to drive and improve yourself press space to jump over obstacles.Test yourself in varies levels, to see how skilled you are and see how fast can you finish all 10 intense levels. Avoid moving objects you can easy flip and die. Enjoy and good luck. Have fun! Super Mud Mania: It's way more fun than Super Mud Depression. Upgrade your vehicle, win races and unlock off-road racers in the toughest mudder on Earth. Nitro boost your way across mud pits and to the finish line! 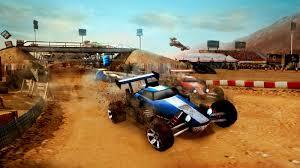 Smash, bash, and crash your monster truck to the finish, before the other guy gets there first! 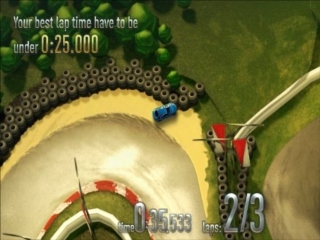 Game Instructions: Use arrow keys to control car. 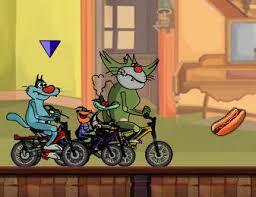 Game Controls : Use W to accelerate; S to brake; A-D to steer; Z to accept; X to cancel. 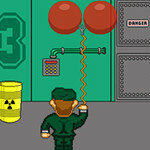 Game Controls : Arrows, AWSD and mouse. 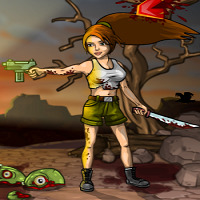 In this flash game you need to kill zombies in a very suitable surrounding, on a cemetery. Crossfire' heroic weapon M4A1 black dragon is produced by the world's top weapons collectors with high combat attributes and collection values! So what are you waiting for? 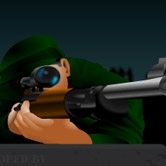 Pick it up now to show your marksmanship and complete all the tasks! Game Instructions: Use Mouse. You can play Tower Force in your browser for free. Build defense towers to stop the enemy invasion. 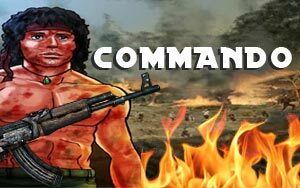 Destroy all enemy units before they reach end of the road. If they pass your defense you will loose lives. Destroy the oncoming army of pixelated beasties…it’s retro gaming at its best! Another arcanoid game version, rather simple but still entertaining nevertheless. It's you or them--take 'em down one wad at a time. Warm up your soccer skills with this intergalactic goal scoring game! Then prepare to take on the rest of the universe in Sokator 442! How to play: This game is played with mouse only. 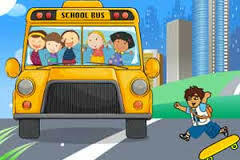 A new puzzle game with lots of humor and fun you will love to play. If you love humor and if you love strategy and puzzle games then you will love this game. Don't get panic! Don't be greedy! Play your game with patience otherwise you will lose your hand. Drag the hand through the cutter to earn money. You have last chance to become a billionaire, so play wisely. Game Instructions: use mouse to drag. Discover new levels, new design and new incredible features in this second installment to a hit match 3 game. Help your golf player in putting all the balls accurately in the hole before time runs out to score maximum points. To clear a level, you need to be very accurate, so adjust the power and direction wisely to avoid wastage of time. Also hit the living creatures during the game to get bonus points. Get the right angle and power to get the frisbee to fly as far as possible as it bounces. 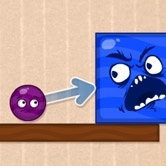 Control both Anski and Blip as you find pets, move boxes, and bounce on each others heads. 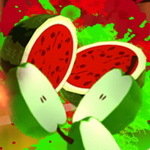 Whack as many moles or zombies in the 100 seconds given to you and score as much as possible. Hit the goal by adjusting the direction and the desired power and make sure you are adjusting for the wind. You have no idea, how hard it was to find this easy and well-known game, now and always only on nogame.ru, you have the flash of the most popular "Checkers" game. 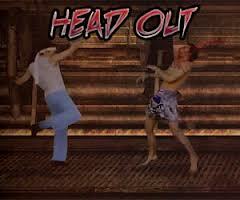 In this game you will have to strain both cerebral hemispheres. Catchy pastime name IQ ball belongs to the popular group game , in which the plot revolves around a restless ball. In each of the twenty-five different difficulty levels will be your task to get the blue ball to the red target , and using as few mouse clicks . Your goal in the physics puzzle game Dynamic System 2 is to get the ball into the basket each level. Slice up towers to eliminate the angry forest animals without harming the cute bunnies.